It is my pleasure to welcome the new and returning families and students to Kaseberg Elementary School, Home of the Hawks! My name is Marc Welty and I am the proud Principal of Kaseberg since 2013. 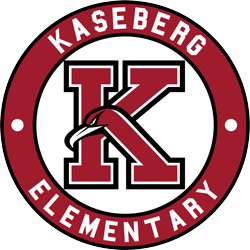 The grade levels provided by Kaseberg include Transitional Kindergarten through 5th grade as well as Special Education and has two preschools located on our campus. Kaseberg is known throughout the community as a safe and nurturing school where students are deeply cared about and challenged personally and academically. Our staff is passionate about serving our students’ needs to be successful as model citizens as we encourage civic service with a strong student council program, character education program, and school-wide positive behavior and intervention support. All students learn, grow, and “get better every day” not only academically and physically, but also social-emotionally. Our students are challenged academically to strive to be foundationally strong while fostering their passions for the arts and sciences. Our music programs include guitar, ukulele, harmonica, recorders, choir and weekly music instruction by a certificated music teacher. Our students have the opportunity to explore and further their curiosity in our Technology Innovation Lab where students learn, play and grow in their knowledge of many technology tools as these tools connect to STEM (Science, Technology, Engineering, and Math). Kaseberg is a unique learning environment where the staff and families work together to provide a paramount learning experience for our students. Our staff gets to know each student personally so they can support every student by individual need. The result is that each student knows they have a place to belong and thrive as a student and as a person. Kaseberg Staff is grateful to continue to serve the community with dedication and skill. If you have any questions or would like to learn about us or discuss how we can make a greater impact on our community, please reach out and call our office.